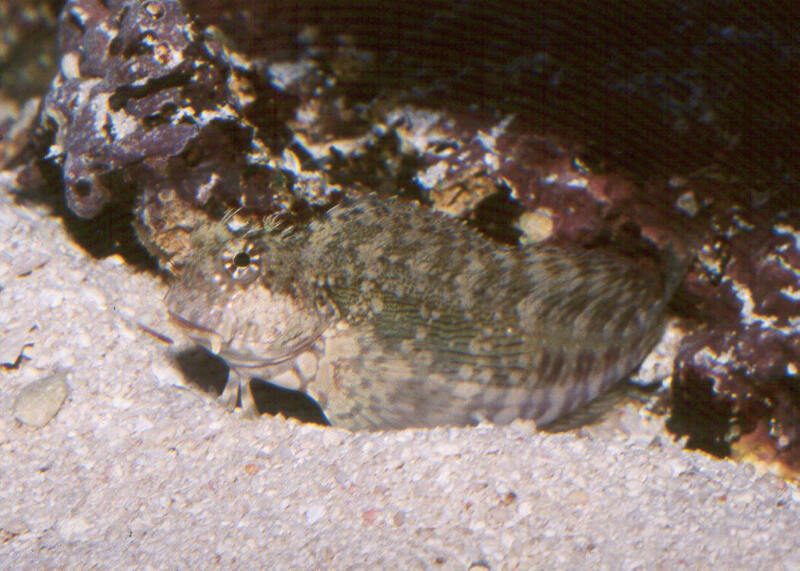 Cirripectes castaneus (Valenciennes 1836), the Chestnut Blenny. Indo-Pacific; Red Sea to Tonga. To five inches in length. Found on reef flats of moderate to high current. 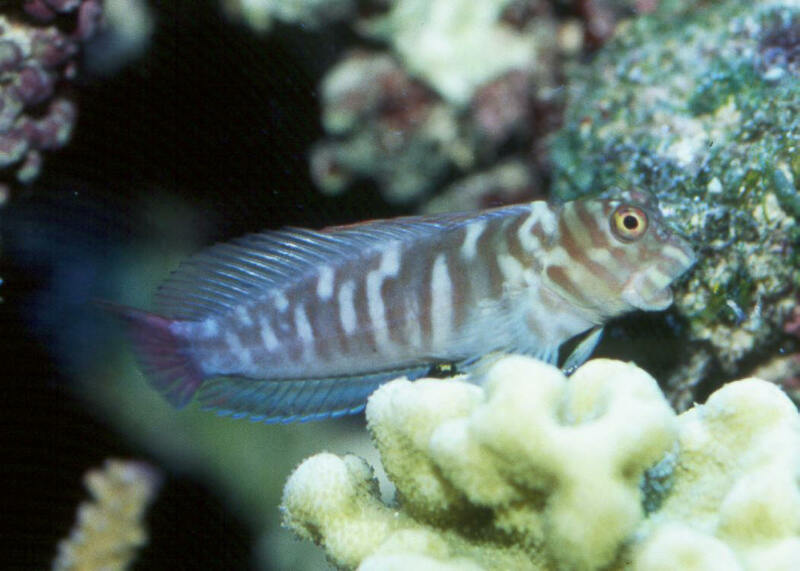 Salarias ceramensis Bleeker 1852, the Seram Blenny. Western Central Pacific, Indonesia, Philippines and PNG and northern Australia. To six inches in length. This one in an aquarium. 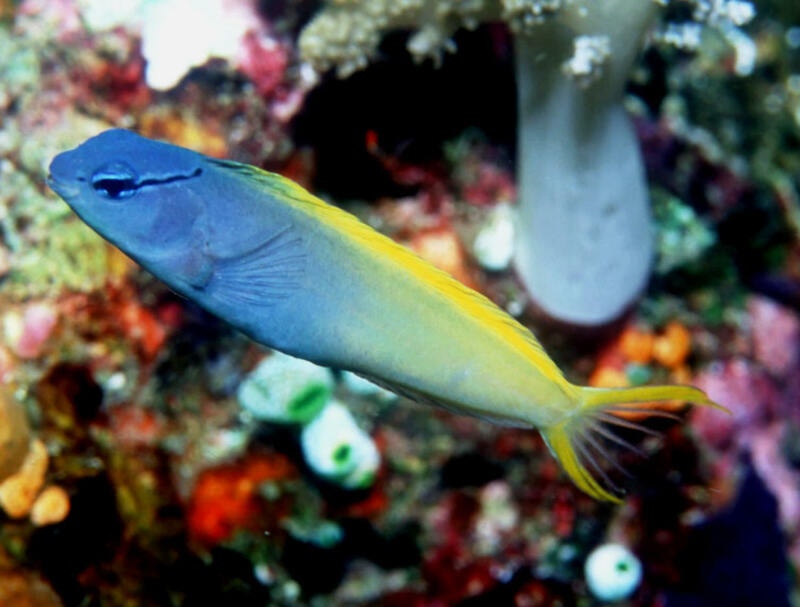 Meiacanthus atrodorsalis (Gunther 1877), the Yellowtail Fangblenny. Western Pacific; W. Australia to Micronesia, Samoa. To 11 cm. Off N. Sulawesi, Indonesia. 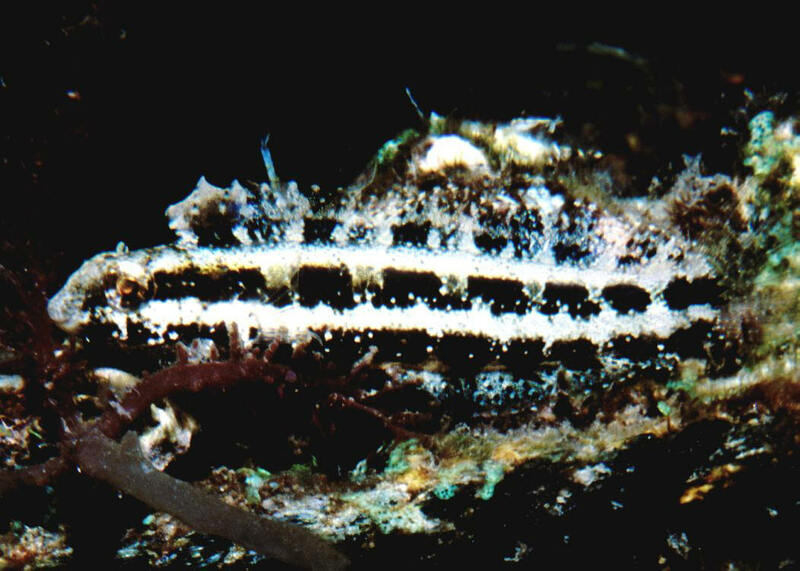 Petroscirtes mitratus Ruppell 1830, the Floral Blenny. Indo-Pacific; Red Sea, eastern Africa to Micronesia. To two and three quarters inch total length. This one in a typical setting hanging off a mooring line with algae about it.